What Are Autofocus (AF) Points and How Are They Used? As you make the change from a beginner level camera to a more advanced model, such as a DSLR, you're going to gain more control over the final image. You can change the camera's aperture or shutter speed to change the exposure in the scene. Understanding autofocus points is another key component of becoming an advanced photographer, as you can greatly change the look of an image by changing the autofocus point. Modern DSLR cameras come with a number of focus points, which can usually be seen through the viewfinder or on the LCD screen. 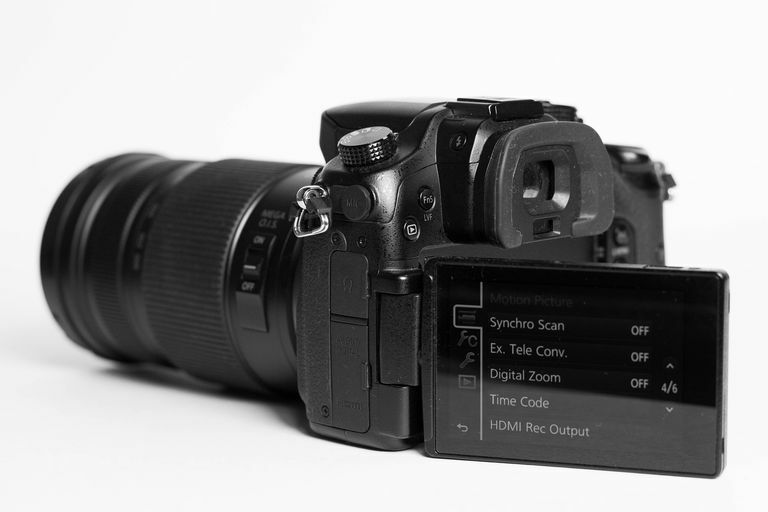 With older DSLR cameras, these points were typically only visible through the viewfinder, but as Live View mode has become more popular on newer DSLR cameras, the manufacturers have given photographers the option of viewing these focus points on either the LCD screen or in the viewfinder. Regardless of where you view them, these are known as the autofocus points or AF points. DSLRs have a number of these autofocus points, ranging from five to 77 or more AF points. If you want to gain a better understanding of AF points and how they work, continue reading! Autofocus points are what the camera uses to focus on a subject. You'll probably first notice them when you press the shutter halfway. Many cameras will emit a "beep," and some of the AF points will light up (often in a red or green color) in the viewfinder or on the display screen. When your DSLR is left on automatic AF selection, you'll know where the camera is focusing by which AF points light up. Using automatic AF selection can work fine in many different types of photographs. For example, if you're using a big depth of field and aren't shooting anything that's moving, allowing the camera to automatically select the AF points should work well. But with certain types of subjects, the camera can become confused as to where it is meant to be focusing. For example, if you're trying to shoot a butterfly on a leaf with a background filled with contrast, the camera could focus on the more distinct contrasts at the back. This could lead to the primary subject being left blurred, while the background is in focus. So to be safe, it's sometimes better to use manual AF selection. What Is Manual AF Selection? Manual AF selection often means that you can just select a single AF point, which will give you a precise area on which to focus. You should be able to select the exact type of AF point system that you want to use through the camera's menus. And if your DSLR camera happens to have touch-screen capabilities, you may be able to select the AF point you want to use simply by touching the portion of the screen that contains that part of the scene you want to be in focus, which is very easy to use. And some modern cameras, such as the Canon EOS 7D, have extremely clever AF systems, which allow you to not only pick single points but also to pick a group or section of the photo on which to focus. AF systems are becoming far more sophisticated, thus reducing the opportunities for the photographer to get his or her focus wrong. Having a lot of AF points is particularly useful if you like to take lots of action shots, or if you photograph pets and children, both of which rarely sit still! With a higher number of AF points, you can cut down on the chances of the subject being away from a point of focus. If you mainly shoot portraits or landscapes, though, you'll probably be happy with a bare minimum of AF points, as you can easily adjust your subjects or your position. What Are AE-Lock, FE-Lock, and AF-Lock? What Makes the Canon EOS 7D a Great Camera?